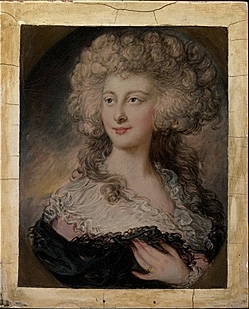 After her marriage, Anne Elizabeth Cholmley was styled as Baroness Mulgrave of New Ross on 20 June 1787. From 20 June 1787, her married name became Phipps. [S229] Burke John and John Bernard Burke, A Genealogical and Heraldic History of the Extinct and Dormant Baronetcies of England (1841, reprint; Baltimore, Maryland, USA: Genealogical Publishing Company, 1985), page 114. Hereinafter cited as Extinct and Dormant Baronetcies of England. [S8481] Joseph Foster, Pedigrees of the County of Yorkshire, Volume 1 - West Riding (London: W. Wilfred Head, 1874), Croft Pedigree. Hereinafter cited as Pedigrees of the County of Yorkshire. From 25 August 1807, her married name became Murray. Her married name became Harding.